The team here at Signature Smiles has helped countless patients in and around Woodinville with their dental care needs. We offer patients comprehensive general dentistry services, with a focus on total wellness, natural aesthetics, and preventative care. Knowing the do's and don'ts of good dentistry is an important part of having the best smile possible. With that in mind, let's consider some bad dental habits that you should avoid. Cigarettes, cigars, and chewing tobacco are all bad news, which is why it's important to avoid using them. They can cause numerous dental health problems, including gum disease, tooth discoloration, bad breath, and increased risk of oral cancer. This is one bad habit you should definitely kick for good. Biting your nails isn't just a social faux pas. If you continually bite your nails, this can lead to weakened teeth, and potentially even chips and cracks. It may be a nervous habit you've developed, but for the sake of your smile, consider stopping it. In addition to chewing on fingernails, many people also chew on pen caps, drinking straws, and ice cubes. 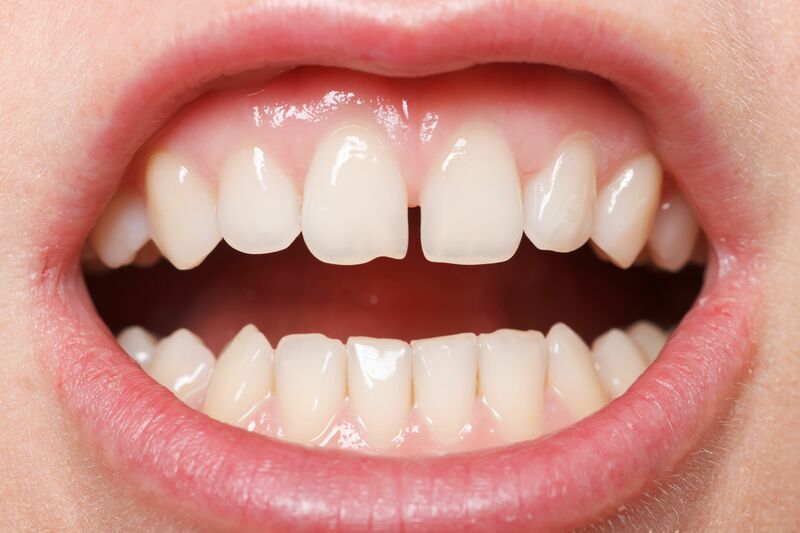 This can slowly cause tooth damaged such as chips and cracks. Rather than chewing on objects that may damage your teeth, think about sugar-free gum instead. A lot of people have tried to open packages by using their teeth. One wrong move or many packages later, this could cause a serious chip or crack. Whenever a job calls for scissors, use scissors instead of your incisors. To remove food particles and plaque and to prevent tooth decay and gum disease, brushing and flossing are essential. Some people to neglect one or the other or both. Be sure to brush your teeth at least twice a day and floss at least once a night. Ideally, consider brushing and flossing after every meal. On the flipside, some people brush and floss regularly, but they do it too aggressively. Brushing and flossing too hard can lead to gum tissue damage, resulting in gum recession and even damage to the enamel. When brushing and flossing, be gentle yet thorough. It's a good idea to consider a soft-bristled toothbrush as well. Sweets should be treats, not a staple of every meal. Some people have a bad habit of overdoing it on sugary snacks and soft drinks, which means an increased risk of tooth decay and acidic erosion of the tooth enamel. Find healthy alternatives instead. If you drink sodas, consider drinking them trough a straw to avoid contact with the teeth. One of the easiest things that you can do to have a healthy smile is visit your dentist, and yet many people neglect seeing their dentist, sometimes not getting a checkup for years. Be sure to see your dentist every six months, which allows minor problems to be treated before they become serious. To learn more about some bad habits that can affect your dental health and wellness, be sure to contact our family dental care center today. The team here at Signature Smiles looks forward to your visit and helping you have the healthiest smile possible.